For more information on Coerver training and camps, please click on the image below. A true developmental soccer league that provides soccer skills training and mini game play with equal play time. This is not your typical local soccer league or travel team. So many families have said that they are looking for a program that is the next step, a program that is fun and doesn't require a lot of travel but more importantly; a soccer program that teaches their kid's the fundamentals of soccer by qualified instructors and the opportunity to play in a soccer game. Coerver Coaching/ESC Youth Developmental soccer league focuses on the essential fundamentals of soccer by providing each age group a highly organized weekly practice plan that will produce results! The Elkhart Sports Center & Coerver Coaching Indiana will be kicking this program off with a 6 week program that will start November, 5th. All players will get 3 weeks of Coerver training and then will participate in a 3 week mini soccer league. After Session I is completed, we will take 2 weeks off and continue with Session II ~ an exciting 10 week program January - March. Qualified coaches that have ONE objective, making your son/daughter a better and more confident soccer player, PERIOD!! Off season is the best time to work on your individual skills. A better skilled and more confident soccer player will make any team he/she plays for better. 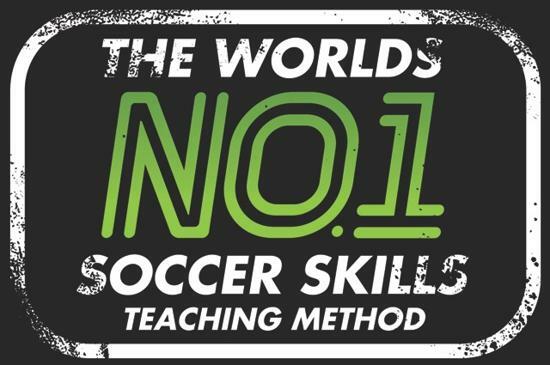 If you are serious about improving your soccer skills, then you need to be a part of the World's #1 Soccer Skills Training Method - Coerver Coaching!! This is not just another soccer training program, this is for the dedicated soccer players that are looking to really improve their skills and their game. Coerver skills training is also not for just the young, some of the world's top soccer programs in the world, Manchester United and Japan women's soccer program, are using Coerver training everyday. If it is good for the best programs in the world, then imagine what it can do for you!!!!! Pablo Rodriguez, Omar Gallo, and their Coerver coaching staff will teach you the skills needed to become the best soccer player you can be utilizing the Coerver pyramid of player development. The pyramid of player development curriculum will improve your coordination, ball mastery, finishing and your understanding of the game. You will be tested on your speed and accuracy with the ball and play in competitive games every day of camp. You will be faster, stronger, smarter and more elusive on the ball. Coerver training has made me a better soccer player. I like the instructors because they take the time to individually help you and teach you if you need help. I have learned a lot and it has made me more comfortable doing my moves. Every time we learn a new move, they make sure everyone gets to know it and then we play games at the end to make sure you can do it in a game. I would recommend Coerver Training to other players. It has made me more comfortable doing my moves that I used to not want to do and now I do! Our family consists of 5 soccer playing kids, adult referees, and a veteran league administer. One of the kids earned 4 letters in college. We've done it all from recreational league to ODP. We have experienced many coaches, clubs, and camps. Any player wanting to be one of the best must commit to outside training and conditioning. Three hours of club training a week isn't enough. My 12 year old has played travel soccer since he was 8. Since last fall, he went from strong player to high level premier player due to Coerver training at Elkhart Sports Center. The biggest change is confidence on the field. He knows he can maintain possession under pressure because he has a new "bag of tricks" to draw from. He has learned to execute new moves with pace under pressure. Coerver is the single biggest factor in his improvement. He would train with Coerver Indiana every day if he could. Coaches Omar and Pablo are excellent instructors. The sessions are well planned and ensure that each player is actively participating 100% of the time. Fitness and endurance exercises are incorporated in the drills. The kids work hard, but they have fun. The class is progressive, so the players are always learning. The Elkhart Sports Center is an outstanding facility. This program is for any player who wants to take their game to the next level. My son participated in the Coerver Training this summer as well as attending the Coerver week long camp. I am truly amazed at what an impact the training has had on his performance this fall with his club team. The coach, as well as several parents, have commented on the improvement in his play. Best of all, he feels more confident in his skills and his ability to possess the ball in a game situation. My son has done soccer camps and clinics for years. Nothing he has done in the past has had such an obvious positive impact on his play, or has been so much fun for him. He absolutely loves coming to the training sessions! I would recommend Coerver training to anyone who plays soccer and aspires to be the best player they can be.